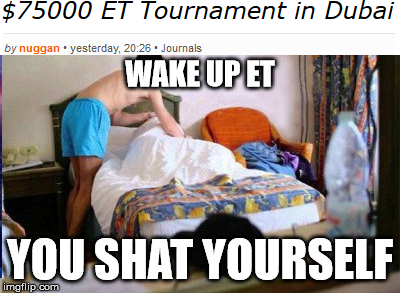 $75000 ET Tournament in Dubai? 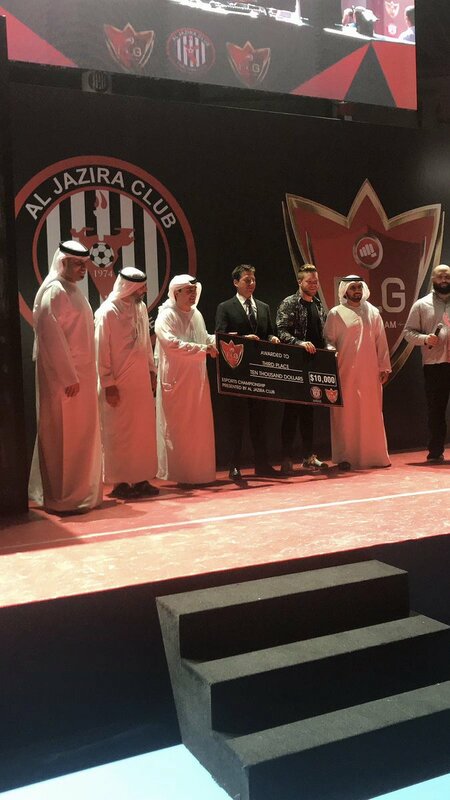 Power League Gaming are currently running a classic tournament in Dubai with Medal of Honor, Quake and UT with $75 000 in prizes. Everyone seems to want ET to go out with a bang, why not with a $75000 ET Tournament for Season 2? Quote We are starting this season with the old school First person shooters, the titles that started it all, Unreal Tournament, Medal of Honor, Quake series are all gamer favorites and we want to hear from you what you want to see at this years event. Let's utilize our mad street cred with TosspoT and Pansy. TosspoT makes sure that the stream will be on the front-page of twitch which gives Dubai maximum exposure for their event. Pansy gets the word out there to her 70k followers on twitch. Pansy and TosspoT to commentate the event. Easy tournament, easy life. Their cs:go tournament was such a disaster lol. One of the worst competition, close to "Gaming Paradise". With that said, I'd wait 10 hours to play ET in Dubai for $75k! when did you become a Nigerian prince nuggan? I think I've always had it in me. she insulted the people who asked and added something like "tosspot has more follower on twitter than i have, he can do it"
Backed you up, bro. Got the tickets booked already. It feels sh1t to admit I am not interested at all, but I hope you gonna make it happen for yourselves and enjoy it! Too bad my nerd friends dont play anymore. Playing with them would make it different. cu there if somebody comes with me to nusret.